OGRLAW has extensive practice in commercial arbitration both domestic and international. Its partners have participated as party counsel, arbitrators and experts in Mexican law in numerous arbitration proceedings conducted under the rules of the main arbitral institutions in Mexico and the world, as well as in ad hoc arbitral proceedings. OGRLAW also advices its clients in obtaining precautionary measures and in other judicial matters related to the arbitral proceeding, such as the validity of the arbitration agreement, and the setting aside and recognition and enforcement of arbitral awards in Mexico and abroad. 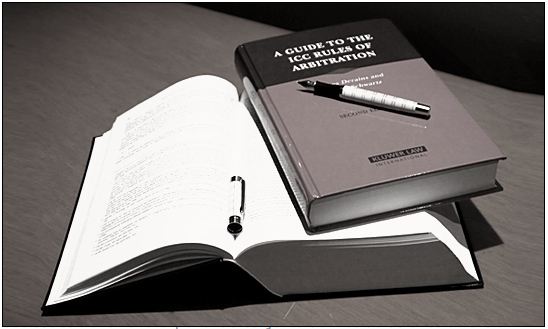 Our partners have more than 30 years of accumulated legal experience that benefits from an ample knowledge of the arbitration proceeding from the point of view of the administrative institutions in charge of the arbitrations. This experience was acquired by the participation of OGRLAW’s partners in the administration of CAM arbitrations as Secretary General and Members of the General Counsel. OGRLAW’s arbitration practice has focused in sectors such as franchising, automotive, mining and insurance, among others. OGRLAW and its partners have been recognized as leaders in the arbitration legal field by publications such as Chambers Latin America, Chambers Global, Best Lawyers, Latin American Corporate Counsel Association Approved for Arbitration, and Who`s Who Legal: Mexico. Party counsel to a mining company in an institutional arbitration deriving from a coal supply agreement, obtaining a favorable award for the principle claim, interests and costs, including party counsel legal costs (over US$1,000,000.00). Currently we represent the mining company in the proceeding for the recognition and enforcement of the arbitral award in the Federal District. Party counsel to an automaker company in an institutional arbitration for a dispute amount over US$10,000,000.00, obtaining precautionary measures, and a favorable award in jurisdiction, among other successful outcomes. Co-counsel to a company of the gastronomic field in an institutional arbitration deriving from a franchising agreement. Co-counsel to a company of the gastronomic field in an institutional arbitration deriving from a license for the use of a trademark and franchising agreement. Partners of the firm have participated as arbitrators in disputes of the insurance sector. Party counsel to a company managing an intermodal terminal against an airport operating company in an institutional arbitration, obtaining a favorable award.